You are here: Home / General / What’s Going On With the Samsung ATIV Q? So, I wrote the other day about how the Samsung ATIV Q seems to be disappearing from the Samsung Web site. Well, it now appears that it’s completely gone. See anything missing from this screenshot? The ATIV Q section is now completely removed, and there’s an ATIV Book 9 Plus sitting on the guy’s lap instead of an ATIV Q (sorry I don’t have a screenshot of that). 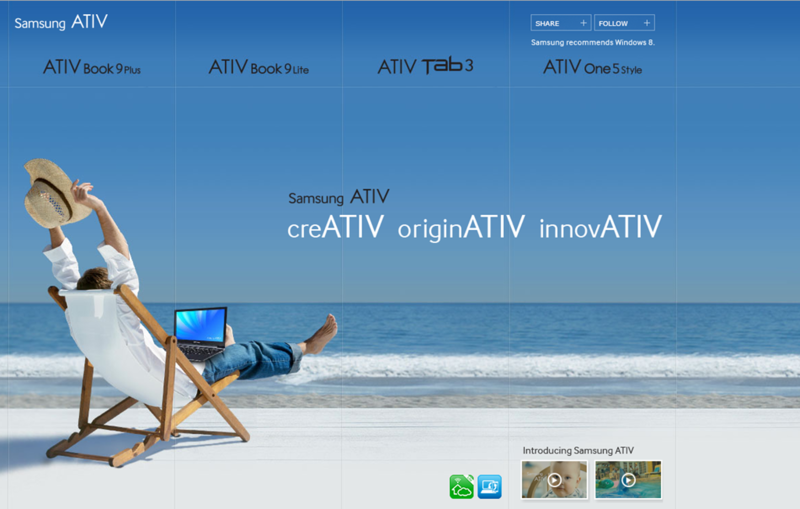 Also, a search on the Samsung site for the ATIV Q comes up completely empty. It’s as if the device never existed. So, either Samsung is completely retooling the ATIV Q for some reason, or they’ve scratched it altogether. If we see the thing hit the market at all, I think it’s going to be quite a few months before we do. I think they realized it was crippled with only 4GB of RAM and likely realized they can’t sell a $1500 laptop with low end specs. Hopefully they take the time to retool the Q with better specs so it can compete with the Duo 13. I’d love to see 8GB too, but I’m not very confident they’ll do it. That is, not unless it ships MUCH later, like in November for the holidays.